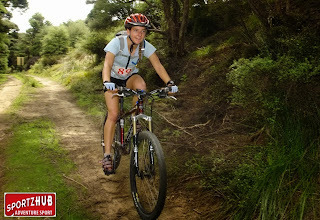 SuperDune was my very first individual multisport race back in May 2010, and for the past 3 years I have also been involved in organising Waitemata Canoe & Multisport Club's annual event. 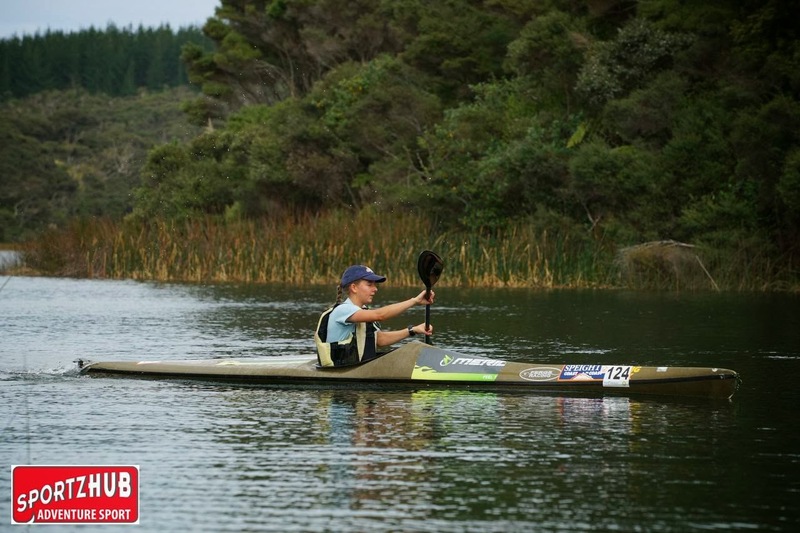 In the past the race was held at Bethells Beach but this year the venue was changed to Lake Ototoa at South Head. SuperDune wasn't one of my focus races this year so I was simply racing to train. 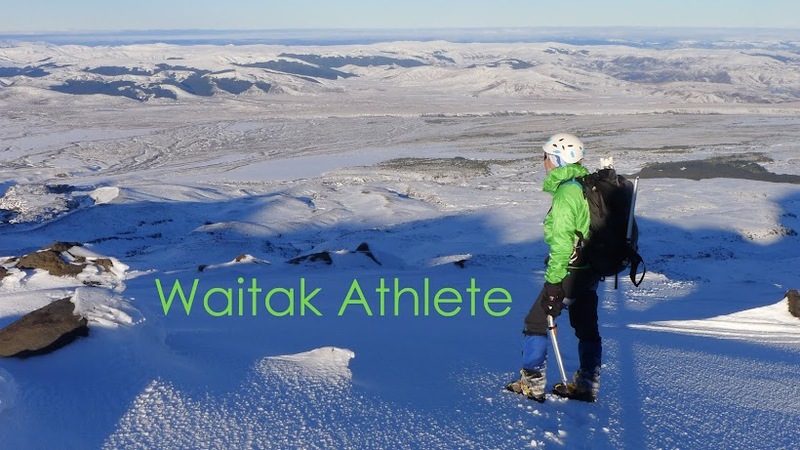 I was out to enjoy myself, explore a different part of the country, and experiment with a few different things during the race. Dad was doing the timekeeping so it was also my very first race without a support crew. 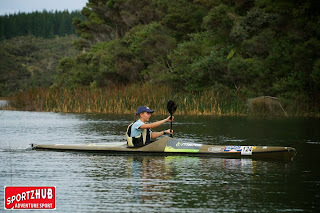 First leg was 2 laps of the beautiful lake for the 14km paddle. Very little breeze made for fast paddling, but I still soaked in the peacefulness of the morning. Racing conditions were fantastic - overcast and a comfortable temperature. The pack quickly split up with half a dozen paddlers forming a bunch at the front with the rest straggling along behind. Managed to wash hang for about the first kilometre. Coming off the water in second to last place I had a quick transition onto the mountain bike and managed to gain another place. The 26km ride started off with 2km of 4wd track before hitting the forest roads. Fast riding, with only one real climb. About halfway up I remembered that the course did two laps of this section so we'd be riding up there again. Still, it wasn't much of a hill compared to what I'm used to. By the beginning of lap 2 I slid back into second to last place again, being passed by Anna Barrett (2nd OW). 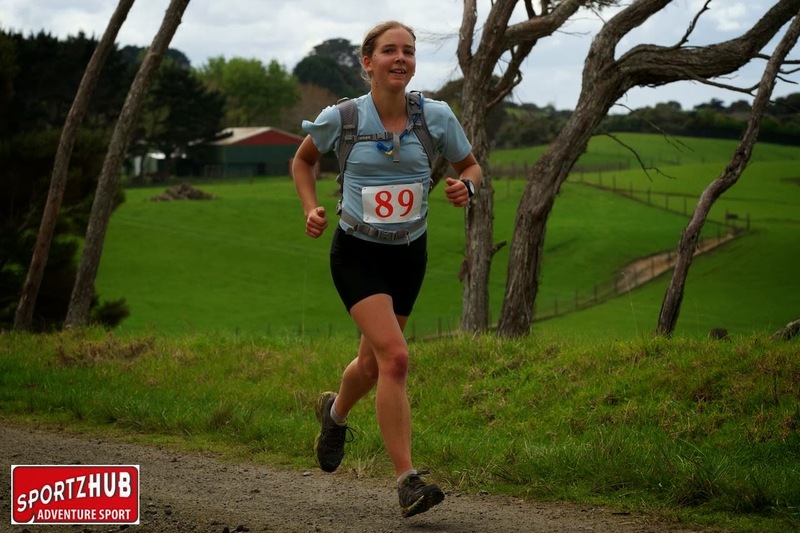 The 10km run headed back down the same 4wd track into the forest then turned off onto a sandy track which undulated gently uphill for several kilometers before spitting us back out onto the forest road and back up the 4wd track to the finish. The cloud cover was breaking up by this time so it was getting a little warm. I finished in a time of 3:30:16, 3rd (and last) woman. A mere sprint compared to my other events recently!